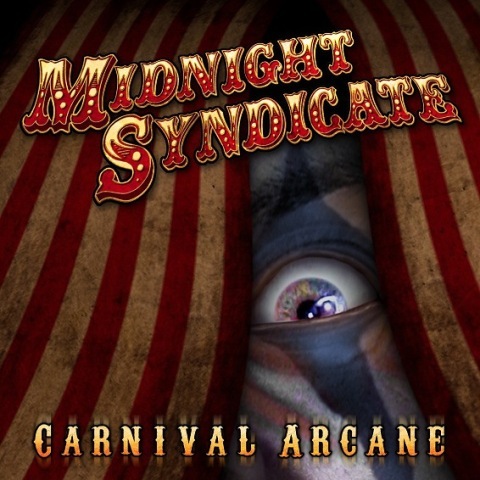 Midnight Syndicate’s “Carnival Arcane” is a Freakshow of Fun! 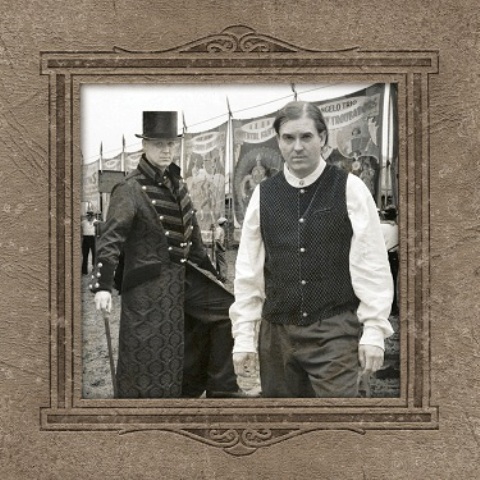 Gothic horror soundtrack musicians MIDNIGHT SYNDICATE will be releasing their fourteenth studio album, entitled CARNIVAL ARCANE, on August 2nd. “The theme of the new disc surrounds the Lancaster-Rigby Carnival, a shadowy, turn-of-the-century traveling circus with more than a few skeletons in its closet,” said Edward Douglas. “The Victorian and Edwardian eras are a big source of inspiration for us. They also marked the beginning of the heyday for traveling carnivals, so that’s the time period we chose to set the disc in. We spent a lot of time researching early-20th century circuses and carnivals to ensure that the sounds and music work together to really immerse you in this world and the time period. There’s also a big tip of the top hat to Mr. Bradbury whose work inspired many of the more horrific elements that appear in the latter half of the disc.” CARNIVAL ARCANE also features the vocal talents of Jason Carter (LORD OF THE RINGS: BATTLE FOR MIDDLE EARTH, BABYLON 5, THE DEAD MATTER) and fellow THE DEAD MATTER cast members Brian Van Camp, and Dennis Carter, Jr.
From the CD insert:The train smoke drifting through the pale moon light signals the arrival of the Lancaster-Rigby Carnival. In a forest clearing, these mesonoxian visitors await your arrival. Stroll along the midway and behold wonders both fantastic and macabre from every corner of the globe. And be sure to ride their one of a kind carousel foan experience you’ll never, ever forget. Midnight Syndicate has been creating instrumental Halloween music and gothic horror fantasy soundtrack CDs for the past fourteen years. The group’s music has become a staple of the Halloween season worldwide as well as a favorite in the haunted house, amusement park, role-playing game, and gothic music industries. Whether it’s being featured at Universal Orlando’s Halloween Horror Nights, on Monday Night Football, in an X-Box game, or being used as background music for writers like Brian Keene or Tamora Pierce, their CDs are designed to take listeners on journeys into the darkest, most fantastic corners of their imagination. David Albaugh here. I also wanted to add that I have been a home haunter since 1985 and the hardest part about doing these haunts is matching up the music to your scenes. Thanks to Midnight Syndicate and their awesome cd’s this is not a problem anymore. I highly recommend these cd’s, even if you just want to add a little bit of atmosphere as you give out candy to the trick-or-treaters on Halloween night! This entry was posted in Music to Die For! and tagged Carnival Arcane, Edward Douglas, Halloween Horror Nights, Lancaster-Rigby Carnival, LORD OF THE RINGS, Midnight Syndicate, Monday Night Football, The Dead Matter. Bookmark the permalink. ← There is no crying at G-Fest!